November 13, 2018 (Peachtree City, GA) – The McIntosh Chiefs opened their 2018/19 basketball season Tuesday night when they hosted their inter- county foe, the East Coweta Indians. While both McIntosh teams went to the state playoffs last year, each is looking at a season of transition. The girls welcome a new coach, Rick Fontaine, their third in the past three seasons while the boys look to replace three key starters. After the Lady Chiefs outlasted a spirited effort by the Lady Indians to win 56-44, the boys rallied from a 20 point deficit to pull within four with 23 seconds left but ran out of gas at the end and lost 82-73. 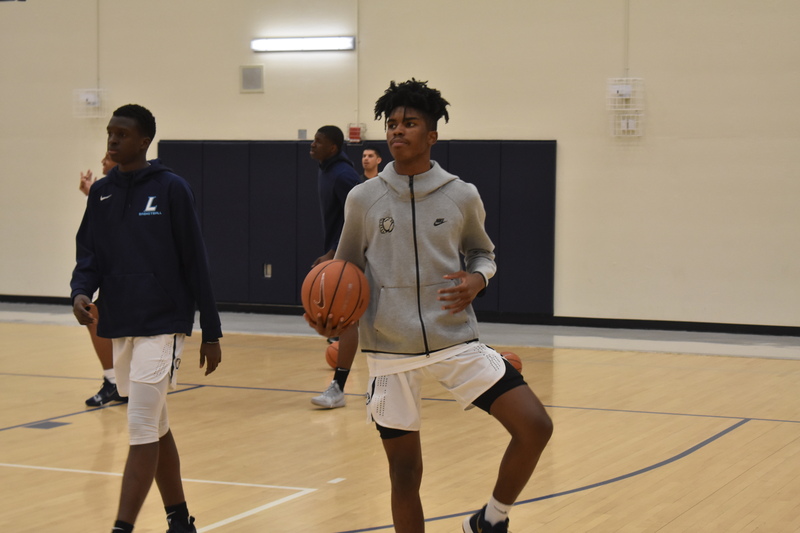 Fontaine inherited an interesting dynamic with his initial team, while they have three experienced seniors in Rylee Calhoun, Kennedi Miller and Anna Muh, the rest of the rotation is comprised of freshman and sophomores. After falling behind 5-0, the Lady Chiefs got on the board for the first points of the season when Keara Collins hit a jumper from the lane. With the Lady Indian defense keying heavily on Calhoun, she beat a double team with a nice pass to Madison Howard for an easy lay in to give McIntosh their first lead at 9-7. 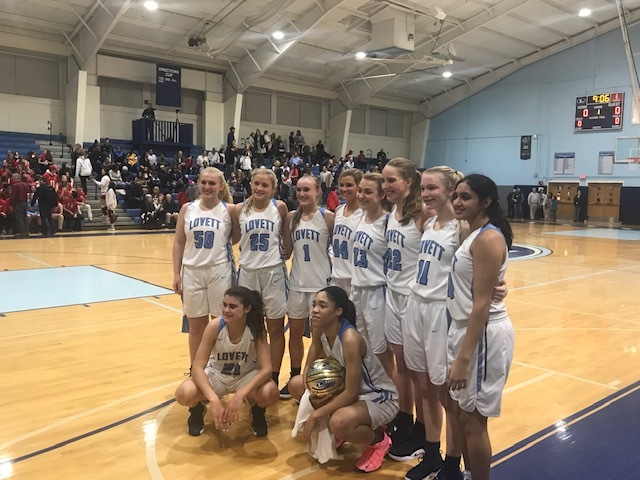 After the Lady Indians took their largest lead of the night at 13-10, the Lady Chiefs ended the second quarter on a 17-4 run led by freshman guard Carrie Consolino, who introduced herself as a quick, talented guard who ran the floor and made smart decisions. With senior guard Miller out with a slight injury, Consolino and the Lady Chief defense didn’t miss a beat. With three first time players on the floor, Calhoun took on the leadership role as she did all the little things to prolong the run and Muh was a force on the inside and on the boards. A basket by Olivia Henders to start the fourth gave the Lady Chiefs their largest lead of the evening and closed things out for Fontaine’s first career Georgia high school win. The influence of Calhoun and Muh was not lost on the winning coach, “We had four freshman and a sophomore who got significant minutes tonight, so Rylee and Anna really took control and had to be coaches on the floor. We just need to settle down a little, cut down on the unforced turnovers and play our game, but it was good to get the win.” Consolino lead all with 15 points while Howard added ten, Calhoun had nine and Muh chipped in 7 and had 11 rebounds. The Indians presented an excellent opening challenge for the Chiefs, they have a deep, athletic roster and apply constant pressure up and down the court. Their defense caused the new look Chiefs multiple matchup problems and allowed the Indians to jump out to a 9-0 lead. The lead continued to grow and midway through the third quarter the Chiefs found themselves down by 20. Instead of giving in, they dug deep and started a run of their own. A Camerin Lyons three pointer jump started the Chief offense and their confidence slowly began to build. Ashley-Emory banked in a three at the end of the third quarter that got the early season crowd juiced with enthusiasm. Daniel Ogle has a key three and with two minutes left, the. Chiefs found themselves within seven. With the Indians in a four-corners look, Patton stopped a drive to the basket by the Indians with an emphatic block at the rim which resulted in a Carpenter basket to bring McIntosh within four with 23 seconds remaining. It was as close as they would get as the Indians closed the game out from the free throw line for the 82-73 victory. Lyons led the Chiefs balanced scoring attack with 17 points, Ashley-Emory had 16 and Carpenter added 13. In all, five Chiefs scored in double figures, including Patton with 11 and Burke Berry with 10 off the bench. For the Indians, Chris Youngblood led all scorers with 23 and Fernandez Jones added 20. The Chiefs are off through the Thanksgiving and will return to face Troup County on the road on November 27.